The intensive course consists of 20 lessons per week at 8 different language levels. Students can choose to study anything from 1 to 36 weeks. Every day intensive course classes begin with a presentation of a structural element of Spanish grammar and go on to illustrate its use by applying it to situations that you will encounter in real life. A twin room in a residence can only be booked by two persons travelling together. Please note: studio prices are subject to change (according to availability and season). The final price will be confirmed after booking. The price mentioned here is for a transfer on arrival in Madrid (by private taxi). Staying with a Spanish family is the ideal means of completing your Spanish course. You will make the most of your stay, getting to know the authentic Spanish way of life. It will also be easier to practice your Spanish. The selected student residences for students are during the academic year occupied mainly by Spanish students. Only during the summer months (July, August and September) are they used exclusively by international students. Consequently the places available during the winter are limited. 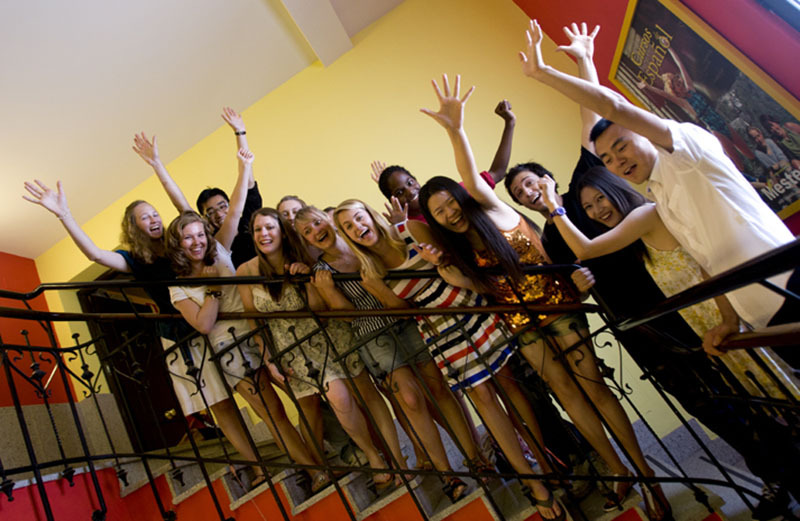 In the residence you will enjoy a student atmosphere, very international in the summer and very Spanish in the winter. You can also choose to stay in a single-use apartment. These are very comfortable studio apartments for either one or two people who wish to enjoy total independence and comfort. The apartments are located in the city centre and very close to the school. The studio apartments consist of one or two bedrooms with private bathroom and a kitchen, furthermore they dispose of a television and a weekly cleaning service. These are flats with three or four bedrooms, a kitchen (fully equipped with all cooking utensils, washing machine and refrigerator) and a shared bathroom. The flats are shared by students of all nationalities.